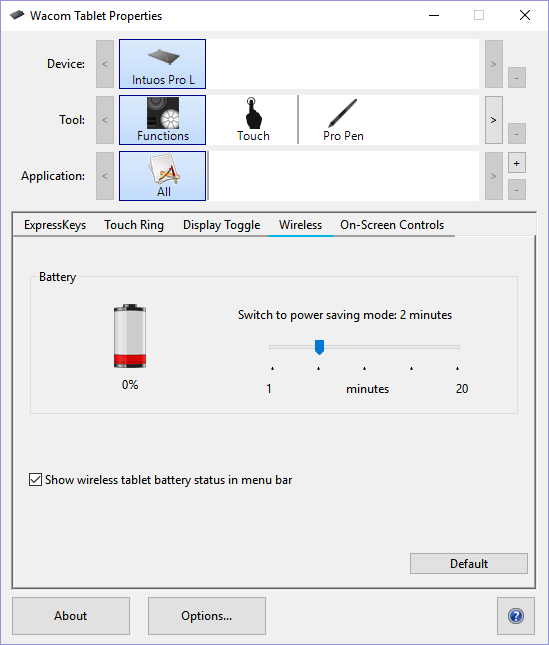 My Intuos Pro Large does not show the wireless battery status in the tray even though I've activated it, it's also not visible in the WACOM DESKTOP CENTER. I'm pretty sure this was working with previous driver versions. And when I click to activate the tray icon, it shows up for a split second and then goes away, this also happens when you turn the tablet on/off. I've provided a screenshot of how it looks like in my Desktop Center and a GIF of the tray.